Where is the outrage? How is it possible that we have degenerated to such depths? Why cannot people see what insane tyranny is already the norm? British Child ‘Protection’ (snatching) Agencies are the worst in the world, rivaled only by Dutch Jeugd’zorg’. But even for their standards, this story is truly horrendous. Mothers incarcerated for waving to their children they happen to meet in the streets……..I kid you not, Christopher Booker writes he knows at least of six cases of these. It’s heartbreaking and the cruelty of these maniacal State psychopaths is heart and mind numbing. The rage I feel when thinking of these people is immense. I just can’t believe the restraint people suffering from this insane tyranny (and I know it first hand) show. Yes, they will commit suicide or even kill their own children in total panic. But they never kill these soulless State perpetrators. Why has no judge been taken down? How is it possible nobody has taken revenge on these heartless monsters? Of course, it’s a great achievement spiritually, but sometimes I really wonder how far it must go before these criminals are held personally accountable. They should be the ones living in fear, not parents and children. Nothing will change until the whole system is overthrown – thrown down and blown away like chaff from His threshing floor. Please, anyone suffering at the hands of these monsters listen to Karl Lentz on how you can (quite) easily sue these freaks in a common law court for tresspass to your property. Yes, your children are your private property, and you are their property under the common law and the monsters have no right to administrate, or take, your private property without harming you. You then have a claim for damages. Large damages. Hit them where their heart is; in thier wallets. GRRRRRRRRRRRRRRRRRRRRRRRRR!!!! I feel that rage too!!!! Its time to stand up!! email him at “court of record at gmail dot com” wthout the spaces and change the word ‘at’ to the @ symbol. GO GET THE FREAKS!! FIGHT BACK!! THE LAW IS ON OUR SIDE!!! When we register our children, the Government create a type of corporation with a lost the same name as the child but its in CAPITAL LETTERS (look up ‘capitus diminutia maxima’) so a baby that you give the name Julia Maria will have a corporation created for it named JULIA MARIA JONES. The birth cert is evidence of the creation of this legal entity. It is used as collateral for the national debt. THe Gov created that legal identity (legal person) and so has control of it, it has no human rights only civil priveledges. We foolishly agree to “be” that corporation when they contact us, we are liable for it and it has no human rights. Thats why they can take your baby. If your baby was not registered they have no authority (jurisdiction) over him/her and could never take it from you. Karl LEntz explains how to NOT be THE ALL CAPS NAME and instead to use your status, or capacity, of a man. Men have human rights, such as the right to property that your ALL CAPS NAME doesnt. 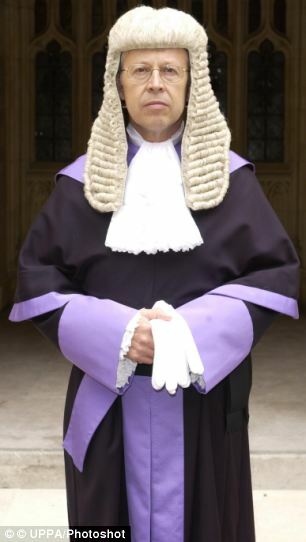 The UK is a corpration, judges are corporations (not the man, the role) and so are you if you dont rebut their assumption that you and your children are consenting to be the surety (collateral) for the CORPoRATION that has no human, or better still, inalienable rights and of course is legally controlled by them as they created it. Listen to Karl LEntz to undestand how to be a man, or woman in court instead of a corporation. Claim your god given right to property and claim tresspass on your property (your children) and claim damages of 10,000 per day. Karl can show you how in a few weeks of listening. PLus buy a law dictionary and look EVERYTHING UP! You can do it, its really not that difficult, the common law cuts through ALL statutes and acts, you wont need any of that crap. Dangit, that 1st paragraph above should have read “the Government create a type of corporation with ALMOST the same name as the child. Oh, and never ever use a lawyer, they are all in on it.